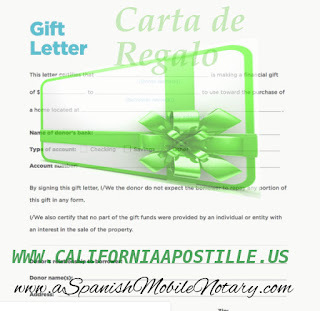 Carta de Regalo - Gift Letter. 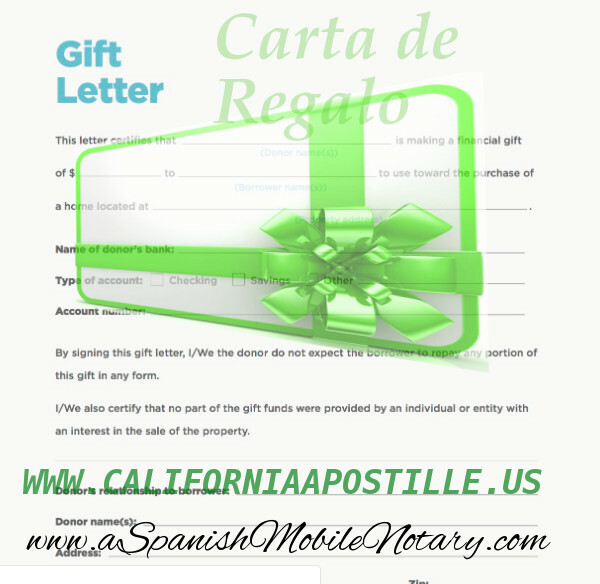 A gift letter is written correspondence explicitly stating that money received from a friend or relative is a gift. Gift letters often come into play when a borrower has received assistance in making a down payment on a new home or other real estate property. Gift Letter I, ____________________________________, hereby certify that I/We given/will give a gift of $ _____________________ to _________________________, my ______________________________ for the premises located at ______________________________________________________________ on ______________________________. I/We certify that this is a bona fide gift and there is no obligation, expressed or implied, to repay this sum in cash or other services of any kind now or in the future. 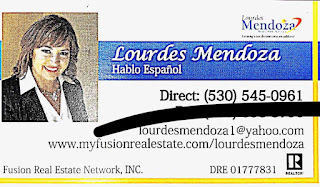 I/We understand that this gift will require documentation, including proof I/We have given the gift from the account listed below, and proof that the funds have been received by the applicant or the applicant’s attorney prior to settlement. THE LENDER may confirm that the funds came from the account listed below: Name of Depository or other Source: ________________________________________________ Address of Same: ________________________________________________ Account Number: ________________________________________________ I/We Certify that the funds given to the applicant were not made available to the donor from any person or entity with an interest in the sale of the property including the seller, real estate agent, builder, loan officer, or any entity associated with them. _____________________________________ __________________________________ _____________________________________________________________________________________ _____________________________________ __________________________________ NECESSARY DOCUMENTATION FOR ALL LOANS (FANNIE MAE, FREDDIE MAC, FHA, USDA, VA): 1. Verification that gift funds were deposited into applicant’s bank account (bank statement) or attorney trust account (escrow letter) 2. Donor’s bank statement evidencing funds came from donor’s account WE ARE AWARE OF THE FOLLOWING:I/We fully understand that it is a Federal crime punishable by fine or imprisonment, or both, to knowingly make any false statements when applying for this mortgage, as applicable under the provision of Title 18, United States Code, Section 1014 and Section 1010. Algunas cartas de regalo tienen que ser firmadas y notariadas (Notary Public) dependiendo de que organismo las pide. Que es una carta de regalo? Los fondos que se le entregan a la carta de regalo y certifica que los fondos son un regalo y no hay obligación de pagar en ningún momento. Carta de regalo: Dinero del estado que alguien utiliza para el pago inicial o para otros fines provenientes de un amigo o un regalo familiar, sin la creación de ninguna deuda. La gente envía cartas de regalos a los prestamistas y a las agencias gubernamentales. Algunas instituciones bancarias exigen la firma legalizada de un documento que indica que la persona que recibe un préstamo declara que ha recibido o recibirá dinero que no tiene que devolver, quien le manda el dinero, para que se usara el dinero y otros detalles para satisfacer el que aprueba los prestamos, bancos, underwriter, etc. (si compra una propiedad, o hace un refinanciamiento, etc., describa y ponga los datos o información). 3. No se espera ni esta implícito ningún reembolso del regalo en forma de efectivo o por servicios futuros del destinatario. 4. No soy y no tengo una afiliación con el constructor, el desarrollador, el agente de bienes raíces o cualquier otra parte interesada en la transacción (excepto en el caso de un regalo). Carta de regalo: Una carta que escribe un miembro de su familia para verificar que le ha dado una cantidad de dinero como donativo y que usted no necesita devolver. Usted puede usar este dinero para pagar una parte de su pago inicial mediante algunos productos hipotecarios. 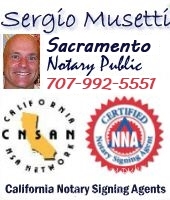 California Apostille service, English Spanish Translation, Notary Public Signing Agent service Sacramento, Yolo, EL Dorado, Placer counties. Notaio S Musetti, atti notarili in campo immobiliare e societario. Keela Clark brings 17 years of experience as an escrow officer to the title and escrow industry. Hired in 2014 by Stewart Title, Keela is a fixture in the Lincoln area of Placer County. 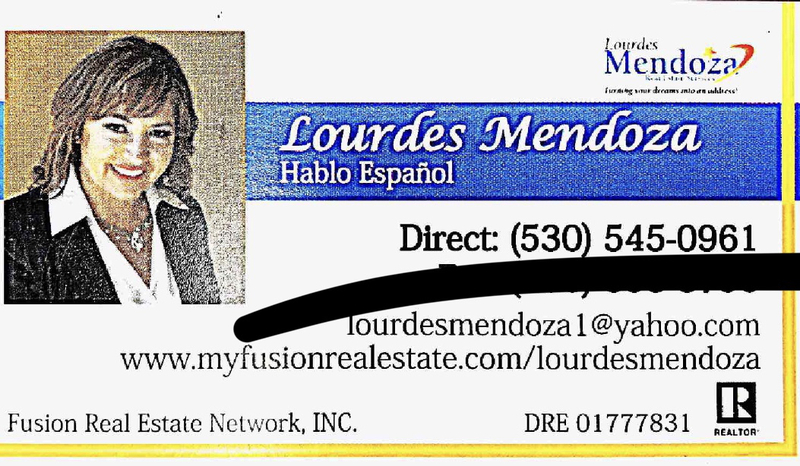 Her experience in escrow covers new homes, REO’s, exchanges, and a specialization of refinance and resale business. 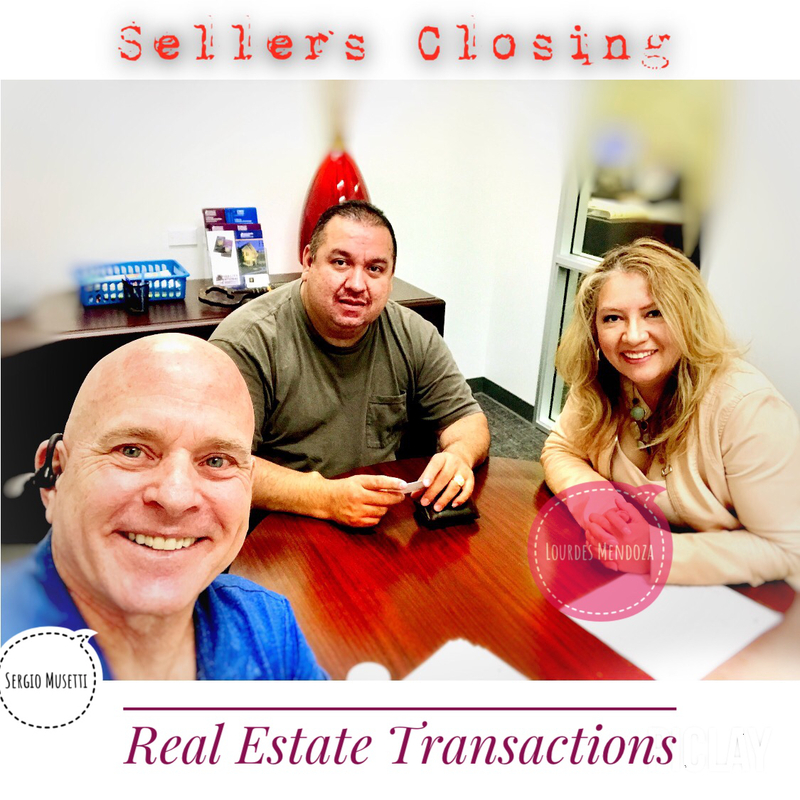 With Stewart Title being the sole title and escrow provider in the city of Lincoln combined with Keela’s extensive knowledge of escrow and the title industry as a whole, Stewart Title has created a winning formula for her, her staff, and the company. Furthermore, Keela is vested in her community. A past Planning Commissioner for the city, she currently serves on both oversight committees for Western Placer Unified School District Board Measures A & N, is an Affiliate Member of PCAR, and a member of the Lincoln Chamber of Commerce. 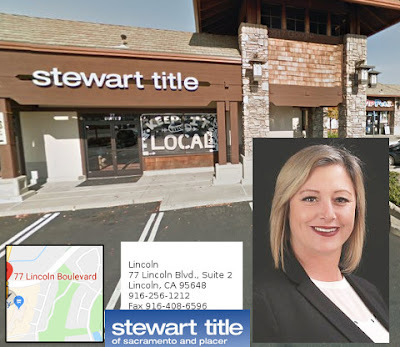 Add nine years of management experience to her resume and it is easy to see why Stewart Title has made such a positive impact on the title and escrow industry in the city of Lincoln. 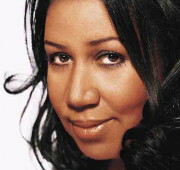 Most importantly however for Keela is the pride she takes in her family, having raised three beautiful children and being a proud grandmother.